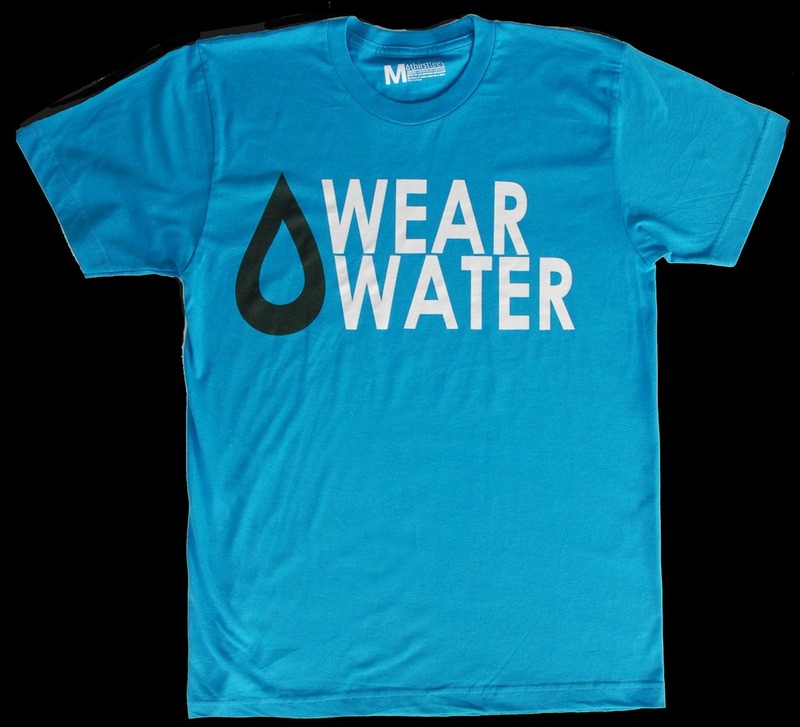 ThirstTees has a cool new t-shirt campaign that says, in simple bold graphics, “WEAR WATER” and when you purchase one, you generate a contribution to their partner organization, Thirst Relief International. Your donation/purchase will provide the cost of part of a clean water well for a community or a bio-sand water filter system for a family (effective for up to 10 people) that can last a quarter century. It costs about five bucks per person to get people a place at the the metaphorical trough, to be able to drink healthy, safe water. Just about a billion people in this world don’t have access to that, and the diseases that kill children and adults the most are a direct result of the lack of safe water. It is a crisis like no other (we’ve all heard, since grade school, about how you can live X number of days without sleep, Y number of days without food…and water is the winner of the race to the bottom…aside from oxygen to breathe, it is the thing we need most). It’s a pretty cool shirt, and does a pretty cool thing. If you don’t want to buy a shirt, just donate to Thirst Relief–even as an individual, you can have a major impact.